Julia Hirschberg has been elected to the American Academy of Arts and Sciences for her contributions to computer science. Established in 1780, the Academy is one of the oldest learned societies in the United States, and each year honors leaders from the academic, business, and government sectors who address the critical challenges facing the global society. “I’m delighted and honored to receive this award,” said Hirschberg, who is the Percy K. and Vida L.W. Hudson Professor of Computer Science, chair of the Computer Science Department, as well as a member of the Data Science Institute. Hirschberg’s area of research is computational linguistics, where she focuses on prosody, the relationship between intonation and discourse. Her current projects include research into emotional and deceptive speech, spoken dialogue systems, entrainment in dialogue, speech synthesis, text-to-speech synthesis in low-resource languages, and hedging behaviors. Hirschberg, who joined Columbia Engineering in 2002 as a professor in the Department of Computer Science and has served as department chair since 2012, earned her PhD in computer and information science from the University of Pennsylvania. She worked at AT&T Bell Laboratories, where in the 1980s and 1990s she pioneered techniques in text analysis for prosody assignment in text-to-speech synthesis, developing corpus-based statistical models that incorporate syntactic and discourse information, models that are in general use today. 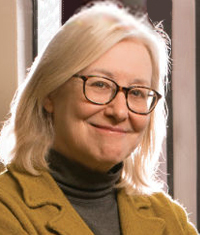 Among her many honors, Hirschberg is a member of the National Academy of Engineering (2017) and a fellow of the IEEE (2017), the Association for Computing Machinery (2016), the Association for Computational Linguistics (2011), the International Speech Communication Association (2008), and the Association for the Advancement of Artificial Intelligence (1994); she is a recipient of the IEEE James L. Flanagan Speech and Audio Processing Award (2011) and the ISCA Medal for Scientific Achievement (2011). In 2007, she received an Honorary Doctorate from the Royal Institute of Technology, Stockholm, and in 2014 was elected to the American Philosophical Society. Hirschberg serves on numerous technical boards and editorial committees, including the IEEE Speech and Language Processing Technical Committee and the board of the Computing Research Association’s Committee on the Status of Women in Computing Research (CRA-W). Previously she served as editor-in-chief of Computational Linguistics and co-editor-in-chief of Speech Communication and was on the Executive Board of the Association for Computational Linguistics (ACL), the Executive Board of the North American ACL, the CRA Board of Directors, the AAAI Council, the Permanent Council of International Conference on Spoken Language Processing (ICSLP), and the board of the International Speech Communication Association (ISCA). She also is noted for her leadership in promoting diversity, both at AT&T Bell Laboratories and Columbia, and for broadening participation in computing. Hirschberg is the fifth professor within the department to be elected to the Academy, joining Alfred Aho (2003), Shree Nayar (2011), Christos Papadimitriou (2001), and Jeannette Wing (2010). Across Columbia Engineering, four other faculty members were also previously elected to the Academy. They are Mary Boyce (2004), Mark Cane (2002), Aron Pinczuk (2009), and Renata Wentzcovitch (2013).